Believe you me, I wish I could be so lucky as to give away a table for two at El Bulli. But now that the illustrious and pioneering restaurant has closed, I can at least give you a better understanding of the culinary genius, Ferran Adria, revered by chefs all around the world, who created what was arguably the best restaurant in the world. 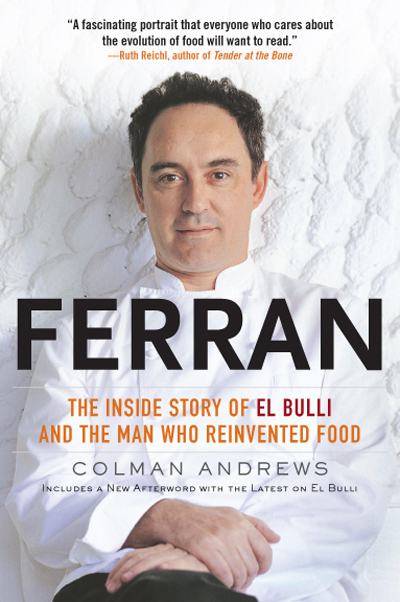 “Ferran: The Inside Story of El Bulli and the Man who Reinvented Food’ (Gotham Books) tells of Adria’s humble beginnings as a college drop-out who took a job as a dishwasher only to make enough money to party. Then, he was drafted into the military, where he landed the demanding post as a cook for an admiral. During a summer leave, a friend urged him to take a job in the kitchen of a Michelin two-star restaurant in the middle of nowhere in Spain. Adria so impressed his bosses at El Bulli there that he was promised a full-time job after he finished his military service. The book, by Saveur magazine co-founder Coleman Andrews, has just been released in paperback with a new afterward that details what Adria plans next. Contest: One lucky Food Gal reader will win a copy of the book, “Ferran: The Inside Story of El Bulli.” Entries, limited to those in the continental United States, will be accepted through midnight PST Dec. 31. Winner will be announced Jan. 2. Since there’s no chance at the moment of eating at El Bulli, tell me the next best restaurant you’d most want to dine at — and why. Winner of the Previous Contest: In last week’s Food Gal contest, I asked you to tell me your favorite memory that involves cookies. The winner will receive four boxes of Alice’s Stick Cookies (one of each flavor). Cheri O’Neil, who wrote, “Growing up, my kids were lucky enough to have a grandmother who baked cookies. Her ethnic roots were steeped in Norwegian, so she’d make rosettes, sandbakkels, sirupsnitterm, fatigmann and krumkaker. My favorites were the sugar-sprinkled spritz, in the shapes of Christmas wreaths and trees. No cookie was too butter-infused, rich and delicious for my mother. She spent her days baking, and not just those leading up to Christmas. But my kids were of a different generation. When they were old enough to go to their friends’ homes, they ate Oreos, boxed ginger snaps and Thin Mints. 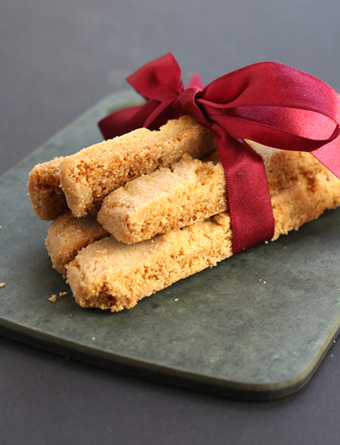 They’d never ask me for Fig Newtons, but they definitely wanted ‘normal’ cookies. Forget the ethnic. The Stockyard Restaurant here in Nashville is regarded as one of the top ten steakhouses in the United States but they have an awesome seafood menu. They also have some amazing looking creamed spinach and turtle cheesecake! They have also received the The Wine Spectators Award for excellence for the past four years. 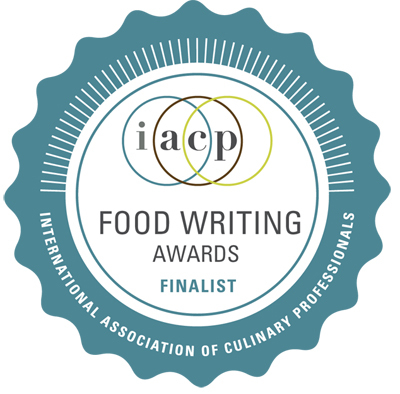 Carolyn, Not to be a follower… but I would pick Alinea too. I am such a Berkeley girl and am always drawn to simple cooking with the best ingredients, but I would love to have the “art” experience of eating Achatz’s food. So sad I never to to El Bulli. The next best restaurant I’d like to eat it at is Grant Achatz’ Next as well. Having poked through Life, on the Line, I am awed by his triumphs. Chef Achatz’ themed dinners at Next have me intrigued and longing for the opportunity to purchase the limited-format tickets. His Thai-inspired multi-course was beautiful. The live-tweets of his proof of concept dishes were breathtaking, and an excellent use of social media. Now, I hear some amazing things about his childhood-inspired menu. If I had to choose any one restaurant that I had to dine at, it would be Alinea. Grant’s approach to culinary creativity is to evoke memories of your past and to align them with food. I wonder what would of happen had Grant not taken a stage position at El Bulli. Grant was destined to be great, and knowing he was inspired by El Bulli and has taken Alinea to one of the highest levels is why I would love to eat there. If I could only have one three star dinner, it would be Alinea. If I had two choices, it would be Tickets in Barcelona. To go back to Barcelona and eat at a place that is a direct descendant of El Bulli is my one European choice. Next is a good option. But I still haven’t even gone to the French Laundry! Of course, there’s also that restaurant in Coppenhagen that’s supposedly the next El Bulli. The next best option I want to dine at is Evvia Estiatorio in Palo Alto. It’s a pricey Greek restaurant I’ve been dying to try, but my hubby doesn’t like Greek food. The lamb chops, dolmathes, spanakotiropita, & Galaktoboureko all are calling out to me! Hope I can convince him that I’ve been a nice wife for my birthday in March! Next best option I want to dine is French Laundry in Yountville, CA. 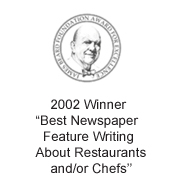 It’s been on the best restaurant in the country for a long time, but it’s almost impossible to get reservations plus it cost almost $400 per person! If I ever get filthy rich & get through their busy phone line, I’d love to eat there! Hmmm The French Laundry. Hands down. What an awesome giveaway! It sounds like a fascinating book. Found your blog off of a picture on Pinterest! I am really excited to go to Sea Change here in Minneapolis. We don’t have a ton of seafood options, and this one will definitely be a special treat! 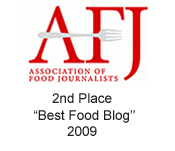 I would have to say the “Bobby Flay Steak” restaurant and hopefully Bobby Flay would be around. I love his style of cooking and he just seems like such a nice guy. Next best option I want to dine is La Costanera near Pacifica. It’s next to Montara Beach so people go for a nice sunset walk first then dine at La Costanera for Peruvian food. My friends went there for Happy Hr (weekends too) & get cheaper drinks, some appetizers deals, then have a nice expensive dinner there. I can’t wait to go hopefully in 2012!